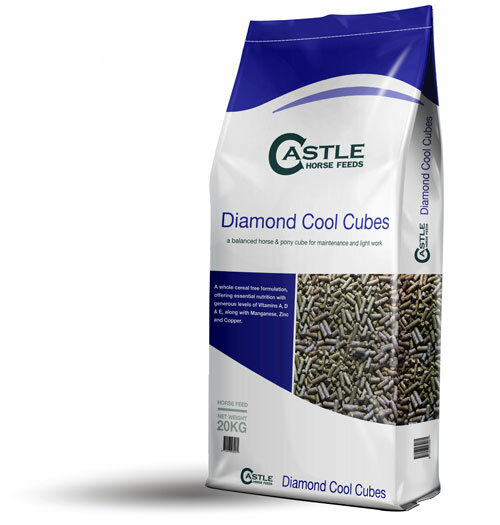 Diamond Cool Cubes are a fully balanced horse and pony cube with a whole cereal free formulation. 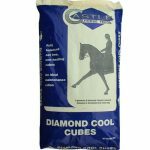 These cubes provide the essential nutrition needed to support health and well-being for horses and ponies in maintenance to light work at a very competitive price. High Fibre Oat By-Product; Wheatfeed; Molasses; Hipro Sunflower meal; Vitamin Premix; Calcium Carbonate; Sodium Chloride.